Support the Syrian Revolution! No to the Astana Conspiracy of the Putin-Rouhani-Erdoğan Alliance! No to U.S., French or Israeli Attacks! 2. The regime carried out this mass murder when the negotiations with the rebels about surrender stuck. It is clear that the Assad regime is prepared to carry out monstrous slaughter in order to break the spirit of popular resistance and to facilitate its program of people's displacement. Since the beginning of the latest military offensive of the regime against the rebel enclave in Al-Ghouta, about 150,000 people have been displaced from this region. 3. This barbaric slaughter is just the latest in a series of chemical attacks against civilians which the Assad dictatorship has carried out in the past years. According to the Ebaa Agency, the regime has carried out 215 chemical and poison gas attacks until now. (See also the Infographics from Al Jazeera, United Nations and Ebaa Agency in the Appendix.) Given the numerical weakness of its own armed forces, a result of the popular hatred against Assad, the regime depends on massive and indiscriminate terror against the popular support base of the rebels. For this the Assad regime relies mainly on its own and the Russian air force as well as on Iranian militias. 4. We are aware that the cynical supporters of Assad and Putin will claim again that the chemical gas attack has been carried out not by regime forces but by “jihadist terrorists”. This is of course a ridiculous mockery of truth. 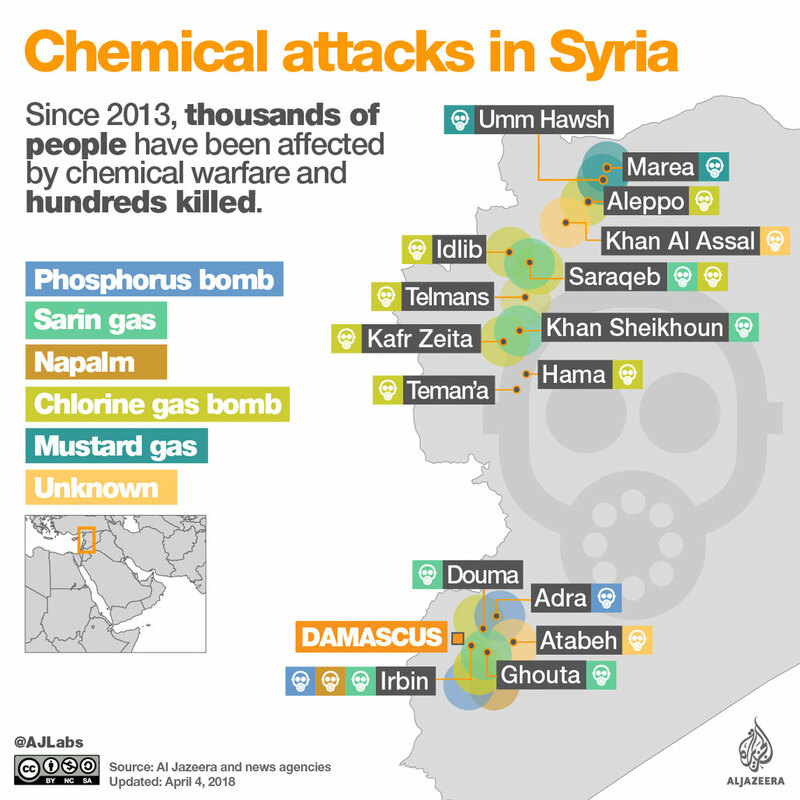 How can these idiots explain the fact that if the “jihadist terrorists” have such huge stocks of chemical weapons why do they always deploy them only against themselves and their popular supporters but never against their enemies – the Assadist forces?! As the Russian revolutionary leader Leon Trotsky once remarked, when faced with the Stalinist frame-ups and Moscow Trials: “Even Slander Should Make Some Sense”! 5. While the Western and Turkish media shed some crocodile tears about the victims in Douma, it is clear that no serious action against the Assad regime and its Russian master will follow. The US might fire a few missiles against an airport as they did one year ago after a similar chemical attack in Khan Sheikhoun. Erdoğan might organize a photograph opportunity for the media holding a baby in his arms. But their deeds speak louder than their words. The Western imperialist powers certainly resent the fact that their Russian rival has become the master of Syria with its puppet Assad. But they definitely prefer the pacification of the Syrian Revolution by keeping the barbaric regime in power compared to an ongoing liberation struggle with all the destabilizing consequences for the imperialist order in the region. 6. The Turkish Erdoğan regime presents itself as the champion of the Muslim people. But in fact, it works hand in hand with Putin and Rouhani in strangling the liberation forces (the treacherous Astana negotiations). Ankara has transformed and corrupted a number of ex-rebel groups into its mercenary forces (like various FSA groups, Ahrar al-Sham, Nour al-Din al-Zenki and probably now Jaysh al-Islam too). These forces have become Erdoğan’s instrument to wage war against the Kurdish PYD/YPG (which has prostituted itself as foot soldiers for U.S. imperialism and which collaborates with the Assad regime). These ex-rebel mercenaries also help Ankara to occupy the North of Syria and to treacherously attack those rebel forces (like the petty-bourgeois Islamist Hayyat Tahrir al-Sham) which denounce the Astana conspiracy and which continue the liberation struggle against the Assad regime and its imperialist master. Contrary to the illusions of many Syrian brothers and sisters, the bitter truth is that the Turkish regime collaborates with Putin and Rouhani and helps the Assad regime to stay in power. 7. The Revolutionary Communist International Tendency (RCIT) calls the international workers movement and popular organizations to intensify its support for the ongoing struggle of the Syrian liberation forces. We condemn the Stalinist and Bolivarian supporters of the Assad regime and its Russian imperialist master. We denounce all those who supported the Syrian Revolution in the past but who cowardly deserted the liberation fighters when they stand with their backs to the wall. We call all genuine supporters of the Syrian Revolution to join us in international support for the ongoing liberation struggle! * Down with the barbaric Assad regime! Support the Syrian Revolution! * Send medical aid, material support, military aid and volunteers to the heroic Syrian people who are waging a liberation war since more than seven years in face of a military overpowering enemy! * No to the Astana conspiracy of the Putin-Rouhani-Erdoğan Alliance! * Drive all occupation forces – Russian, Iranian, Turkish and U.S. – out from Syria! 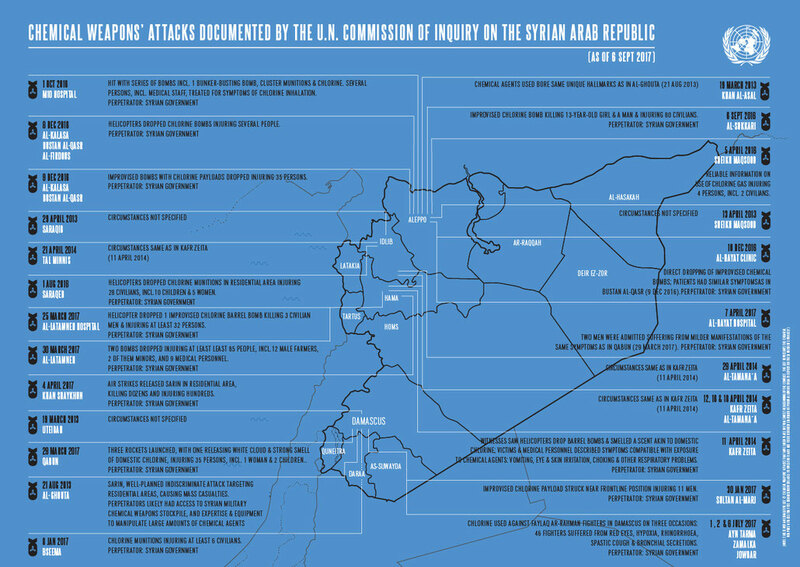 * No to U.S., French or Israeli attacks against Syria! * For a single Intifada from Tunis to Cairo, from Idlib to Jerusalem, from Sanaa to Teheran, from Tripolis to Istanbul! Long live the Palestinian liberation struggle against the Zionist state! Support the popular struggles against the reactionary Sisi dictatorship in Egypt! Victory to the Yemeni liberation struggle against the Saudi-led aggression! Down with the capitalist Rouhani regime in Iran! * For a Workers and Poor Peasant Government! For a Socialist Federation of the Middle East! For a World Party of Socialist Revolution!